Energy issues: leading customers out of the dark? A lack of long-term policy has placed investors in the Australian energy game on the sideline. Jay Chander CA, looks back at what he might have done differently in his career. 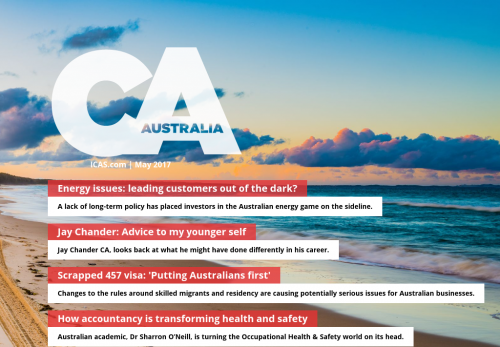 Changes to the rules around skilled migrants and residency are causing potentially serious issues for Australian businesses. Australian academic, Dr Sharron O’Neill, is turning the Occupational Health & Safety world on its head.